Since organising the first green beauty swap for Christmas last year, I knew there had to be another swap for spring/summer too. We're well into spring and fast approaching summer so I thought now would be the perfect time to get the ball rolling again. 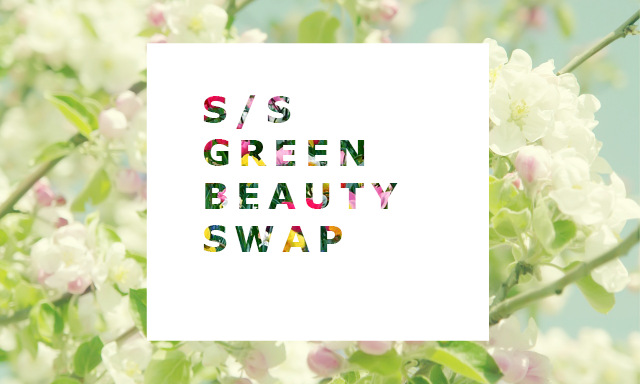 Just like the last time, this swap is especially for all fellow green beauty bloggers! If you'd like to take part in the swap, just read through the info below and leave a comment with your details to sign up! Leave a comment on this post to say you'd like to take part, along with your name, email, blog url and whether you'd prefer to do a UK or International swap. The last day to sign up is 12th May. You will be randomly paired up with another blogger and sent their contact details. From there you can agree a budget and timescale for your swap and let each other know if you have any allergies or specific ingredients you prefer to avoid in your beauty products. Get shopping for gifts! Be sure to chat with your swap partner and browse through their blog to find out their likes/dislikes so you can get them something they'll love! Post your parcel to your swap partner. When you receive your swap parcel, open it up and enjoy your new goodies! Would love it if you can write a blog post about what you received to share with everyone! You must be over 16 to take part. Send your parcel by recorded delivery if you can. That way it can avoid parcels going missing and your swap partner will be able to track the parcel. Excellent. I even did a little happy dance when I saw this post! What an amazing idea, I'm in! I'd love to take part! Thanks for organising again Ria! Yaaaaaay, can't wait to do this again, last time was so fun! Thank you for doing this again, such a babe. Woo woo so excited for this! Think ill do an international swap this year! So excited as I missed the last one. Thank you for doing it again. I am up for an international swap please. I'd love to take part. Happy to go with the international swap. Count me in please, Ria. I don't mind whether I'm paired with a UK or overseas blogger. Count me in for a UK Swap please. Brilliant idea, thank you for organising it, Ria! I would love to take part !